While sparring starts with the two opponents standing up, it almost always ends up with both of them on the ground. Everyone who participates in Brazilian jiu jitsu expects this, and it’s a mainstay of the sport. But the fight has to get there somehow, doesn’t it? That’s where takedowns and throws come into play. We’re here to tell you about some of the more common ways to hit the ground in your Brazilian jiu jitsu classes. Double Leg Takedown: The double leg takedown is one of the most common ways of getting your opponent to the ground. Like all aspects of BJJ training, it’s an excellent move for a smaller opponent to take control of the fight. You can’t go gently into a double leg takedown; while we’ll teach you the steps slowly so that you can master it, once your try one it’s important to fully commit. Double leg takedowns involve putting yourself into a position when you can grab both opponent’s legs and either topple them or throw them into the position you want them to be in. Single Leg Takedown: Single leg takedowns are another technique that can come in handy when you can’t get into that double takedown position, or when an opponent counters your move but you still want to take the fight to the mat. Single leg takedowns can take more raw strength than a double but can still be used by weaker fighters if the proper technique is used. The Low Single: A variation on the single leg takedown, the low single swaps out “grabbing the leg” for “grabbing the heel.” Many opponents who might be ready for a leg takedown might not be expecting you to get so low and go for a low single. Once your opponent is on the ground you can chain it into your preferred submission. Ankle Pick: The ankle pick is an excellent way to get your opponent off-balance and get them to the mat. It can be combined with lapel grabs and can be a great follow-up after you’ve misdirected your opponent with a fake move. Lapel Drag: We often talk about how BJJ training is so great because it allows a weaker opponent to overpower a stronger one. This is true, but that doesn’t mean that you need absolutely no strength! 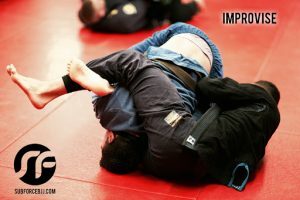 If one of your go-to moves is the lapel drag, you’ll need a certain amount of hand strength to hold onto your opponent’s gi lapel through the entire move. When you have a good hold on the gi, you can move your opponent where you want them more easily. Foot Sweeps: There are a great number of techniques for the foot sweep, and they make a great way for lighter opponents to get a heavier opponent to the ground, because, well, they need their feet to stand! When you sweep their foot out from under them, they’re going to immediately get off balance and head down to the mat. Of course, you’ll have ground fighting techniques once you reach the mat, and we’ll go over some of those in a future blog. 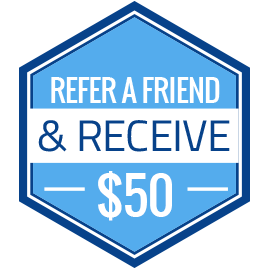 If you’re not already signed up for Brazilian jiu jitsu classes, be sure to grab your two free weeks right here!